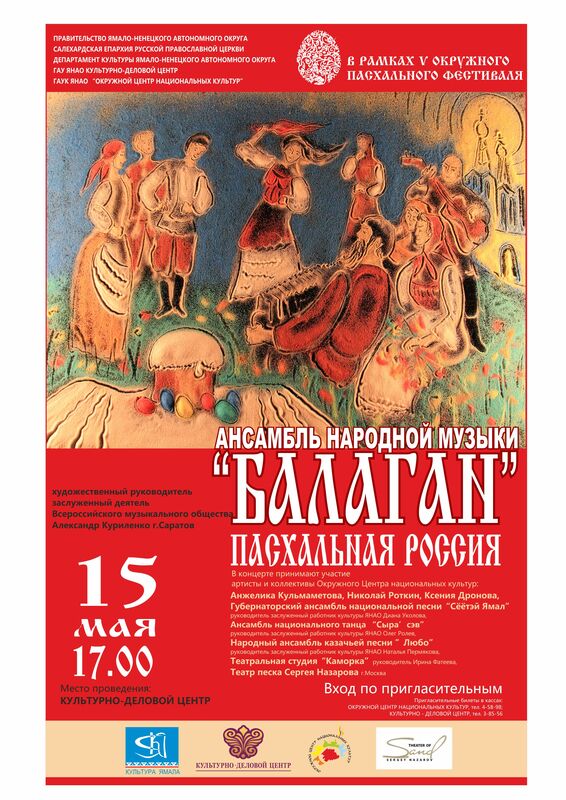 Easter concert of folk music ensemble "Balagan" and live sand scenery Sergei Nazarov. "The District Center of National Cultures"
The ensemble was founded in 1989 by Alexander Kurylenko. Artists of the ensemble have a unique creative individuality, bright voices of people's voices speak several folk instruments such as the hurdy-gurdy, psaltery, harp, zhaleyka, balalaika, ocarinas, the violin. 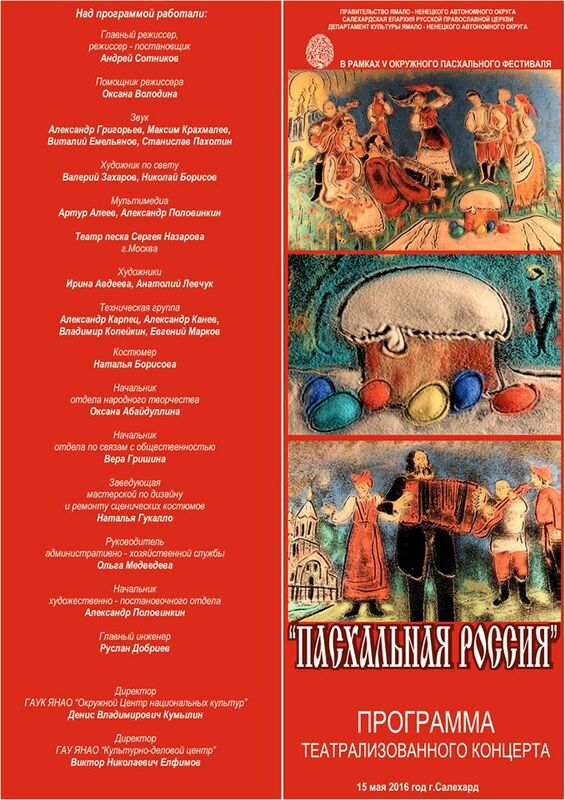 The basis of the repertoire of the best examples of folk music of different regions of Russia. This lingering peasant song of the XVIII century, the traditional round dance tunes and games, city romance of the XIX century and rhyme, spiritual poems, legends, apocrypha. The ensemble performs in authentic costumes of the XIX century, that creates a sense of historical reality. Artists of the ensemble "Balagan" go in folklore expeditions, bringing of these trips folk music recording, which later become the basis for creating a new concert programs. 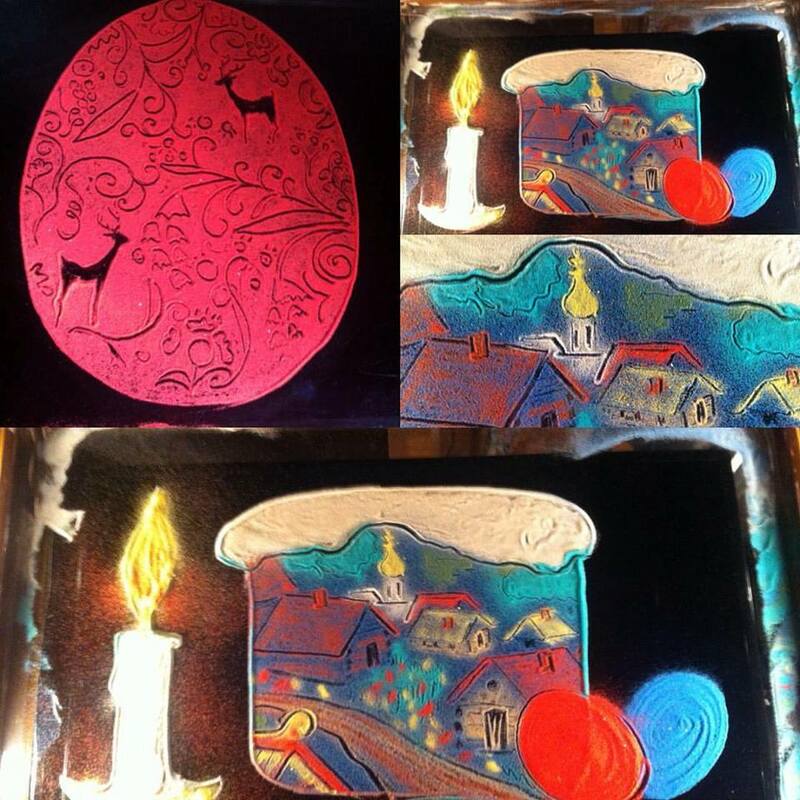 For each song, they find their own unique paint, warming and filling them with a special lyrical sense. Russian folk song imbued with sincere cordiality interpretation ensemble evokes in listeners all the most intimate and best.